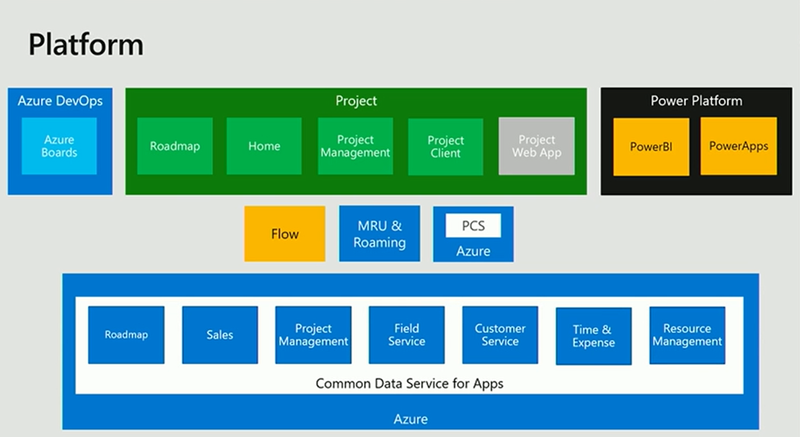 As you can see from the screen show about, each project is a row, each row has a name (free text – not the actual linked project name) and an owner (free select people picker from the the tenant users – not the actual linked project owner). 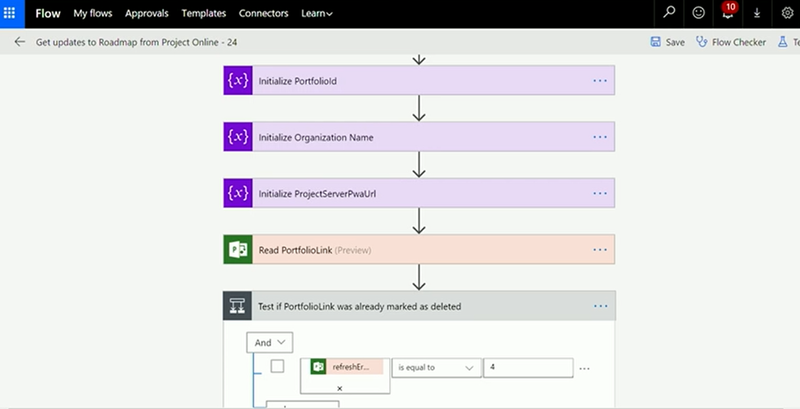 Then in the details you can add tasks from the linked projects. 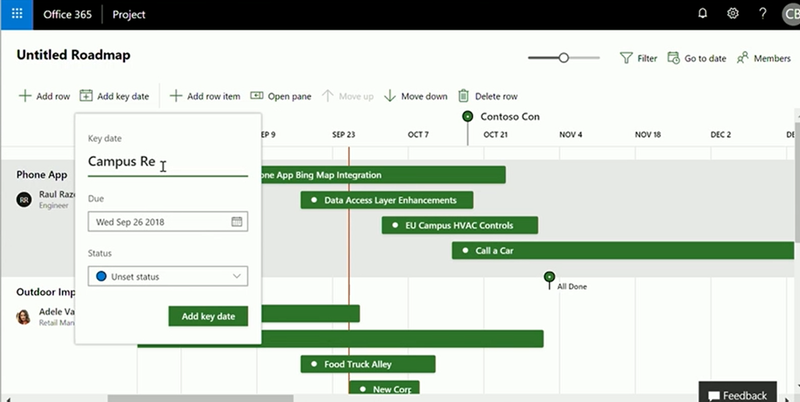 On the timeline you can add key dates. You have full control over the order of the rows, move these up and down as you like using the Move Up and Move Down buttons. 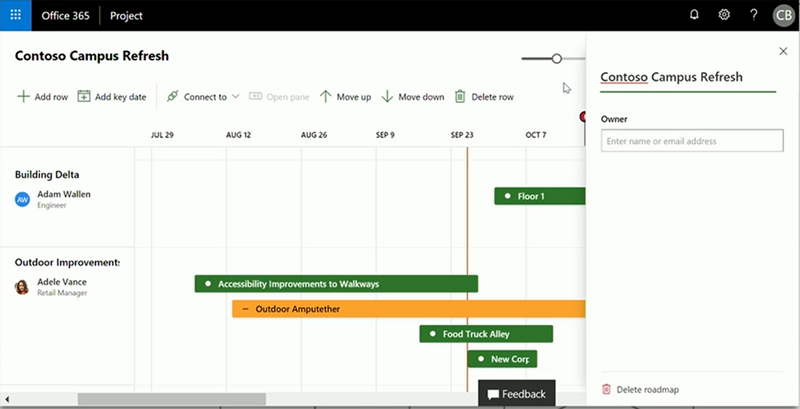 Setting the status will update the task bar on the Roadmap. 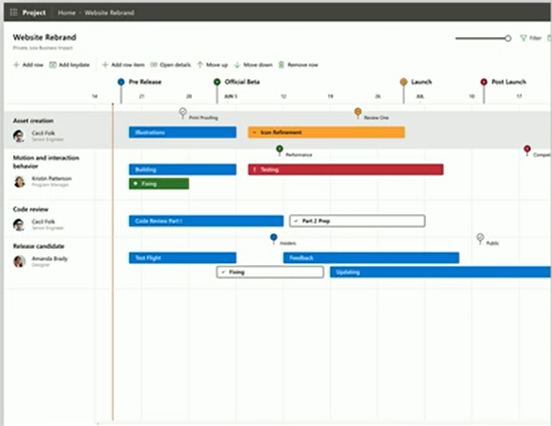 You also have a zoom control to change the zoom of the timeline. 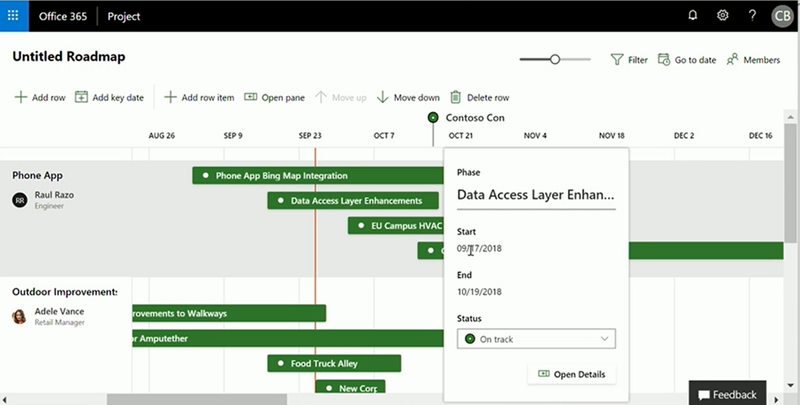 So each Roadmap will get to make use of all the features Office 365 Groups enables such a SharePoint site, SharePoint document library, Shared Inbox, Calendars etc. 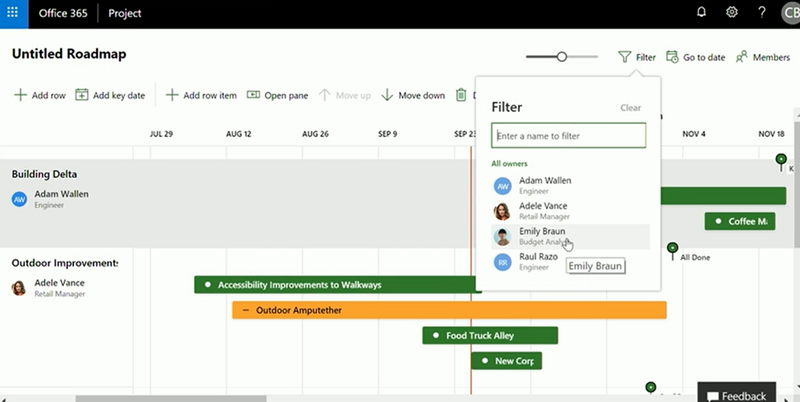 Using Office 365 Groups means Roadmaps can either be private or public. That’s is for now, but I’m looking forward to getting access to this! There are lots of exciting changes happening in Project!